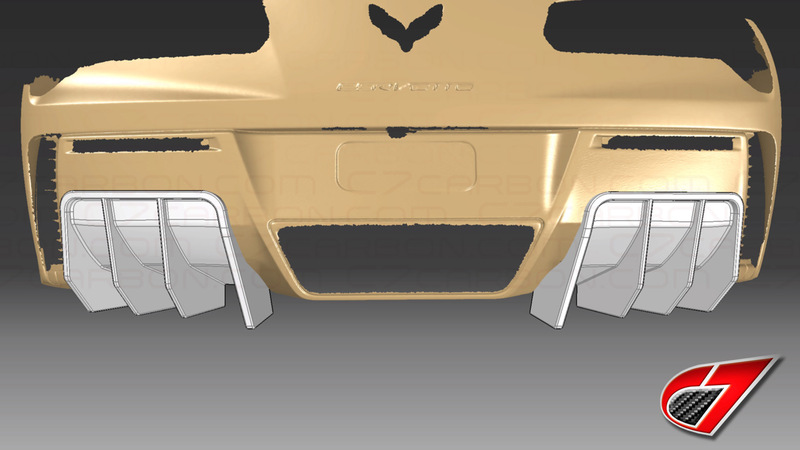 C7Carbon | Rear Diffuser Add-on extensions | 3D designed, help us finish! 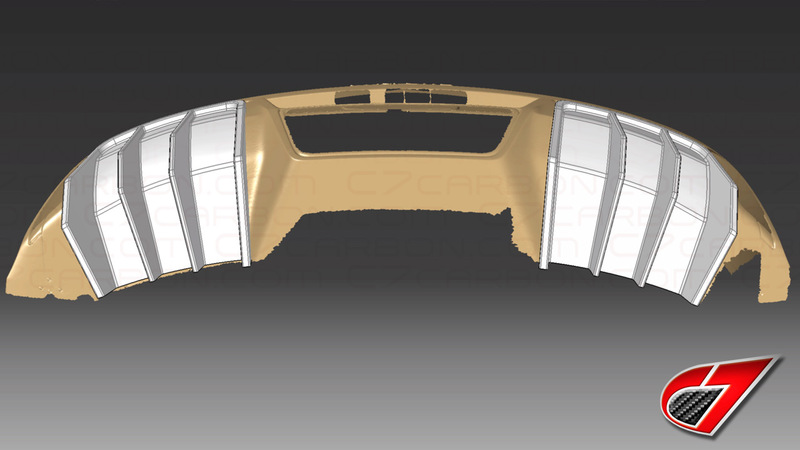 We are glad to introduce our latest 3D project for the C7 Corvette. An awesome addition to your OEM diffuser that will provide an aggressive look and with easy install. 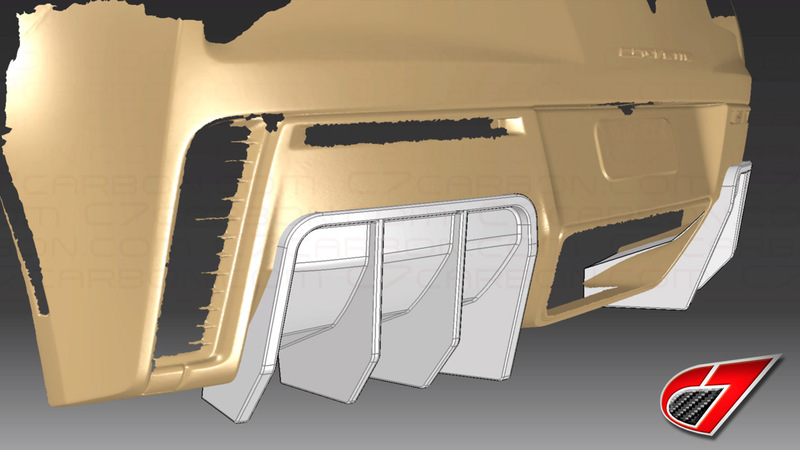 The rear diffuser extension project is currently going through the design phase, being shaped digitally, covering every design phase with cutting edge 3D technology; from 3D scanning the Vette to 3D printing the actual prototype. We'd love to hear from you, any suggestions or features you would like to see on these extensions, we are all ears! Last edited by C7 Carbon; 06-22-2017 at 01:02 PM. How do you plan to connect them? 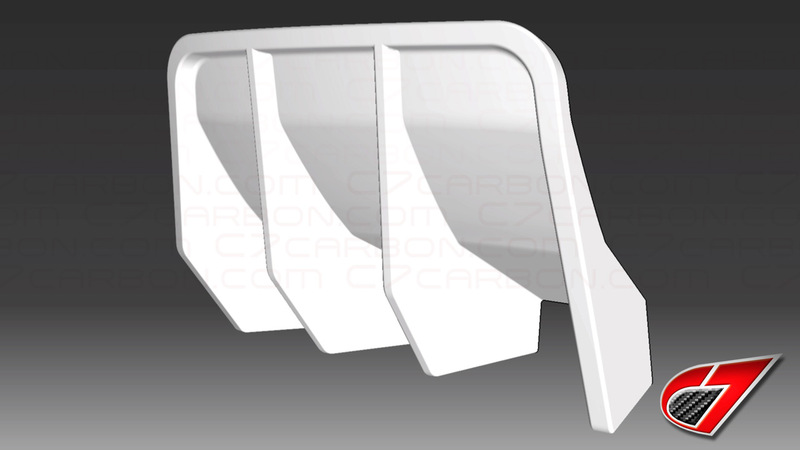 i would consider just doing a whole CF diffuser with these integrated in. I may be interested depending on how they connect. Why do these look exactly like the Ivan Tampi ones? A couple of things I would change are how they protrude from the bumper. The inch or more that they stick out creates a sense that they're stuck on as an after thought. The overall design looks good. It would be way better if it was blended into the bumper as one piece. And, the inner most fin length. They're just too long. A couple of people have complained of them getting scraped from going up and incline. I would imagine they'd get scraped to shat trying to get up a flat bed tow truck too. I think 3 fins vs 4 would be better. I've been looking for a rear diffuser. 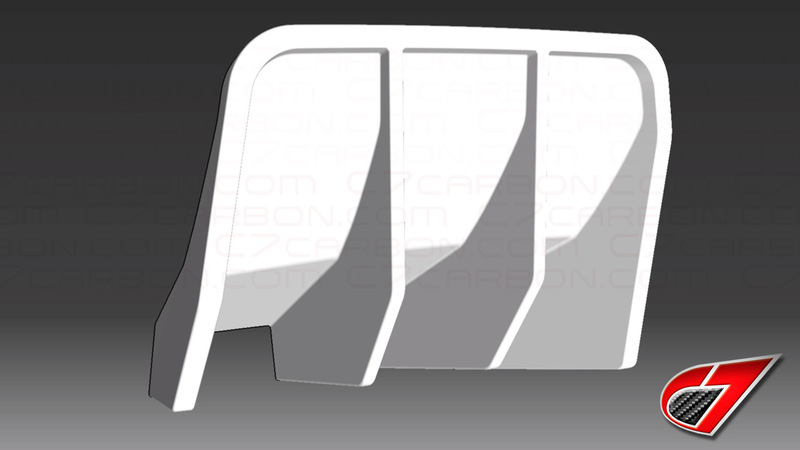 I have your CF on my sides, front, and rear spoiler. Add-on panels won't look good. You have to make a one piece diffuser in CF to come up with a sellable product. and, make it affordable and of the same quality as your other products. APR and Anderson are both already ahead of you but they're $1300 plus. 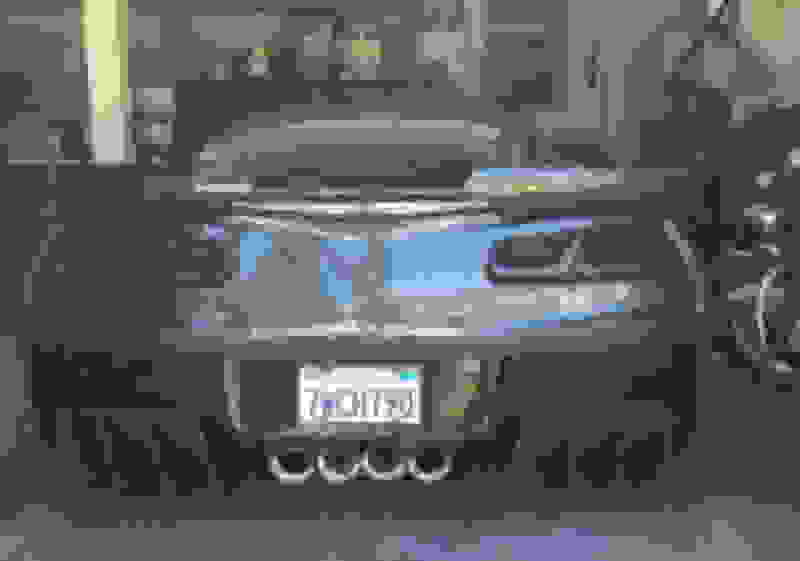 Too many fins make the diffuser appear "gaudy and ricer". You already have a CF OEM style and a finned C6 diffuser. Just make a finned C7 unit similar to the C6 version and make it under $1000 and you'll see some interest. As stated before the fins protruding too low makes it look like "add on"
"The website, http://www.c7carbon.com/c7-corvette-rear-diffuser-addon-extensions-carbon-fiber-p-662 is categorized as Reputation-Viruses and blocked by Company Policy"
I'll check from home later tonite. Thank you so much for your input, its much appreciated! These add-ons are designed to attach to the factory diffuser with a couple of screws located on discreet areas plus double sided tape for a firm grip. We are open to any more suggestions, please let us know. We are taking notes! Last edited by C7 Carbon; 06-22-2017 at 01:08 PM. No creating additional holes where it can be seen when removed? Option to come in carbon flash? Looks promising. I also think a carbon flash version would be nice. 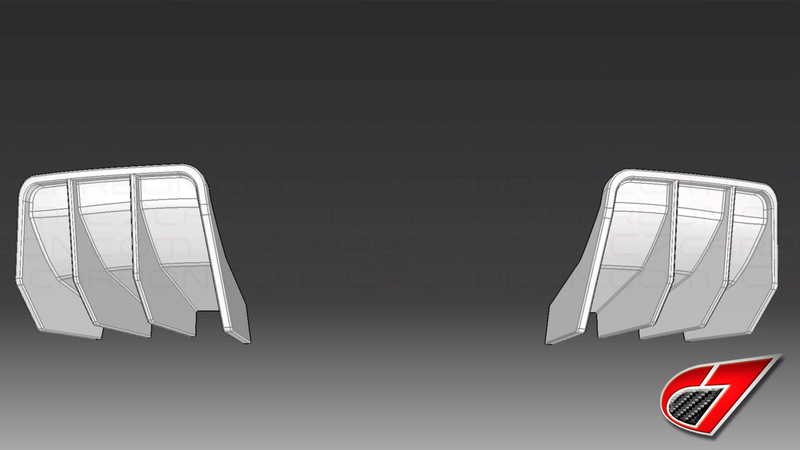 I like the design, and the 4 fins. Maybe blend the innermost fins a little better, or at least angle the edges to match the other while maintaining the same thickness. Thanks again for your input everyone, let's hear more! I have both your GTX side skirts and stage 2 splitter both in carbon fiber and love them. However, IMO, bolt-on pieces added to existing components just do not look good. You guys can do better than that!! Also, go with one less fin on each side. It just looks too busy. I'm glad I went with a WeaponX diffuser. "NO REGERTS". Thanks again for your input guys! for many of you asking, Carbon Fiber and Carbon Flash options will be available. We're open to more suggestions and comments thanks again! My car sitting in a garage right now. I bought two (doh!) front splitters, stage 3 wignlets, side skirts and a carbon spoiler from you - that diffuser looks tacky and over aggressive. If it was one piece, it would be great, but it looks like something that was glued on from Autozone. Make it flush and one piece. Is that from ivan tampi customs? I personally like it a lot , that being said it will come down to price.msimular pieces are close to 2k, keep it under 1k and you'll sell them. Make it a single piece that is blended in. It will look a lot better and like some GM designed. Personally, I would curve the blades rather than angle them. I would match the curve of the back panel of the car. 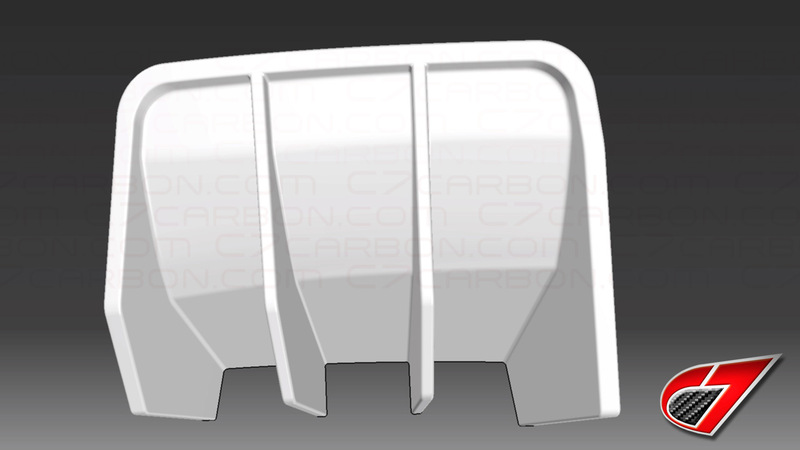 Quick Reply: C7Carbon | Rear Diffuser Add-on extensions | 3D designed, help us finish!